We offer a range of upgrades to further increase functionality and the overall experience. Here is a list of the most popular. 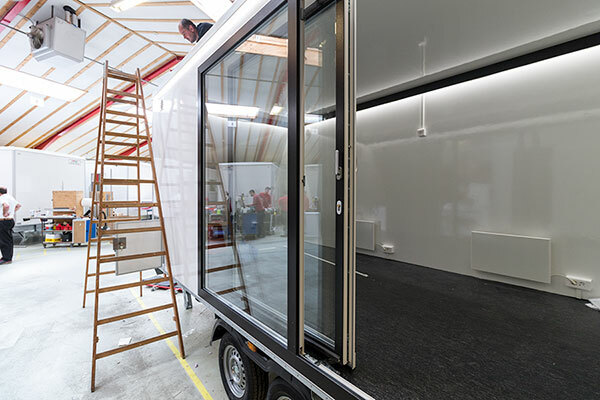 Our cabins are normally delivered in white, but you can of course choose another colour. We do not recommend dark colours as they get very hot and ‘air bubbles' can occur as a result. 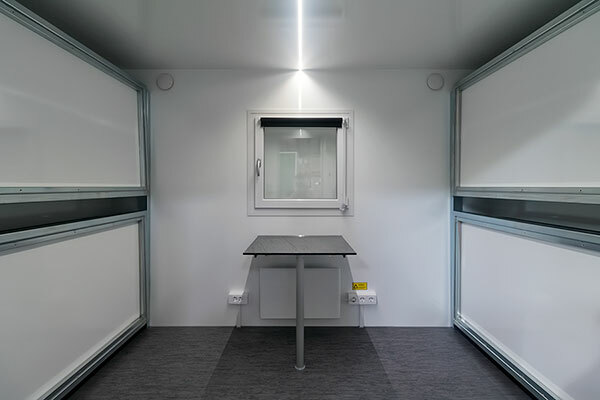 We can often change the size of the standard cabin, to make it longer or shorter than the guideline sizes in the overview. Calls us for more information. 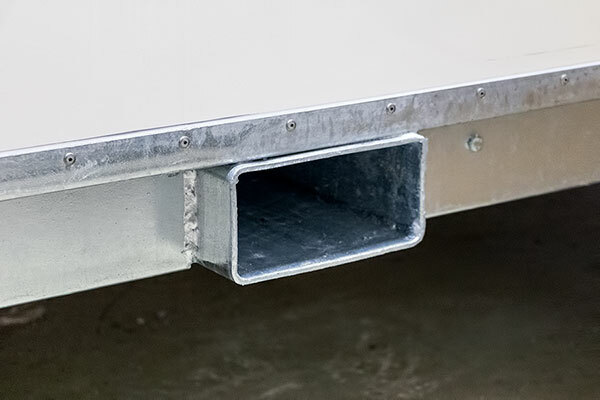 Most of our cabins can be built with a sales hatch. 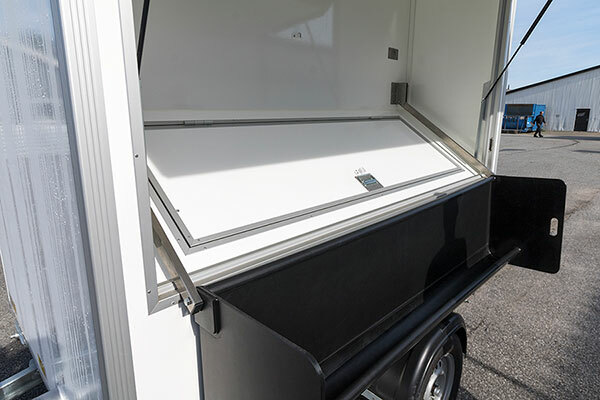 The sales hatch can be used both as a window and a door. It can also be used if a cabin has an external urinal. 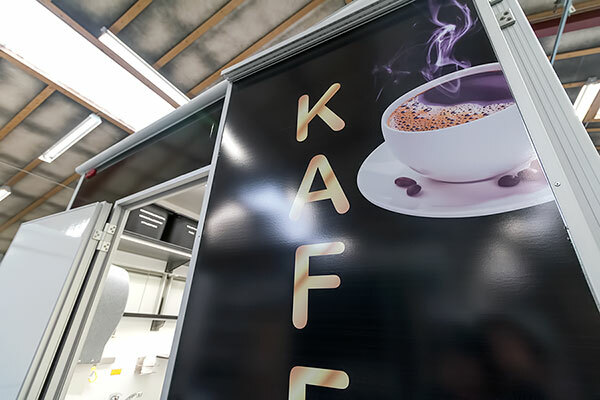 If you want to raise more awareness around your sales cabin or show what's on the menu, we can fit an advertising sign on each side of the cabin (gable) and above the sales hatch. 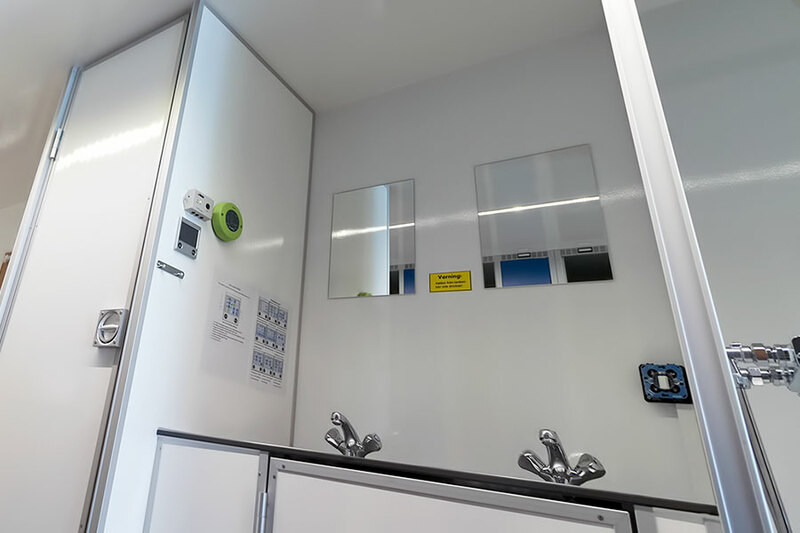 The sliding door is typically used in our display cabin, but can naturally be fitted in all types of cabins, as long as the size is over 4 metres. The sliding door often comes with an awning. 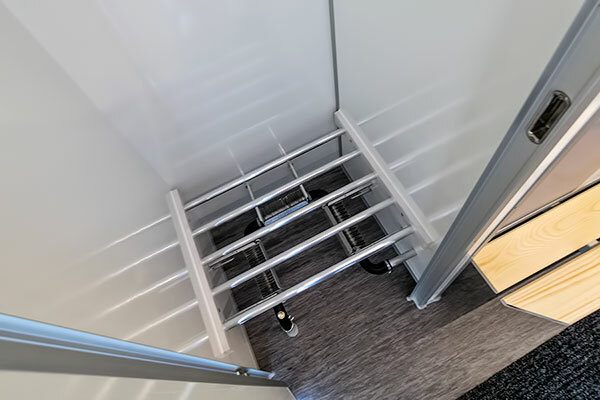 If lots of people need to get in and out of your cabin, or you need to move large objects back and forth, we recommend double doors or an extra wide door (as in our disabled toilet cabin). 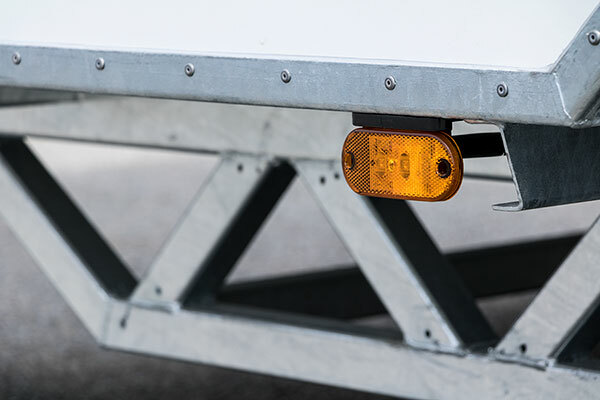 If your cabin is parked in a place where lighting is poor at night, it is worth having a light above the doors. 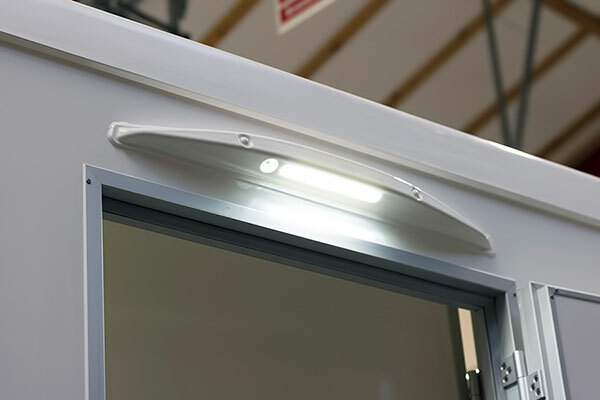 Our door lights have an inbuilt sensor and use LED lights. 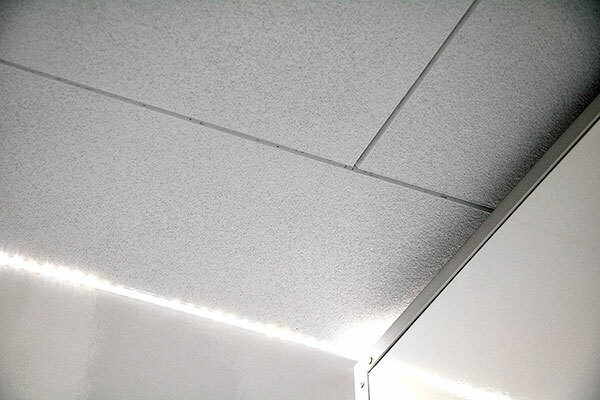 If your cabin is parked in a place where lighting is poor at night, and if it has a lot of doors (such as a large toilet cabin), we recommend LED lights along the entire roof. 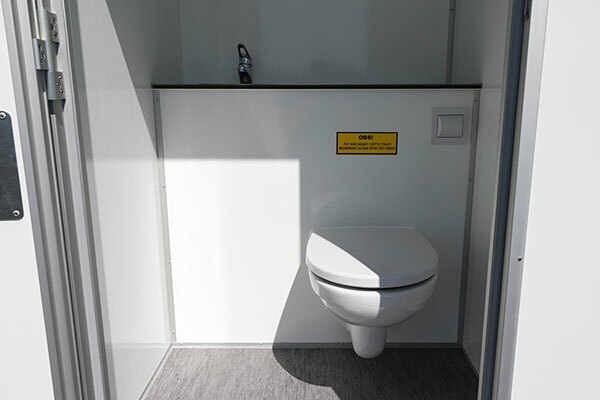 To help with the traffic of guests at large events, it can be worthwhile having a hand basin both inside and outside the toilet cabin. 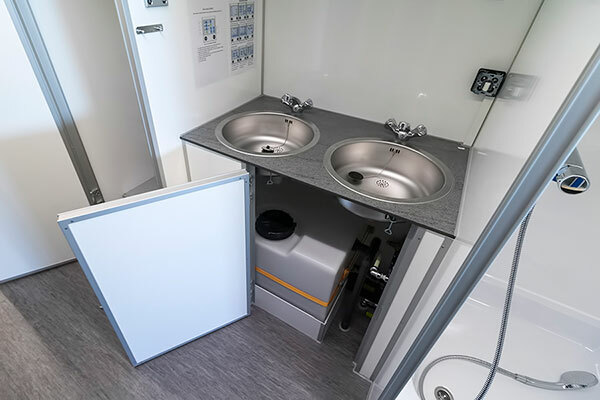 To increase the efficiency of small toilet cabins, it is worth fitting an external urinal with two external hand basins. 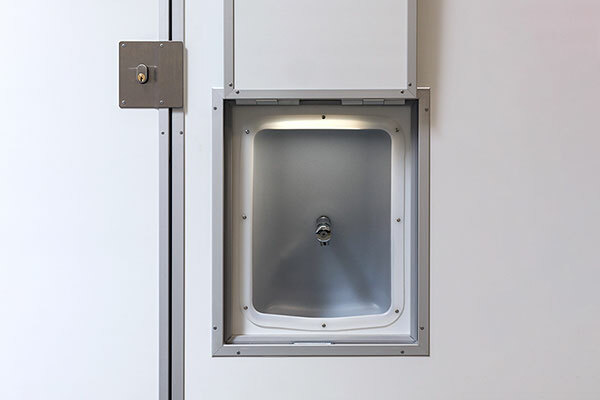 During transport, the urinal is tilted upwards and locked behind a hatch. The door can be strengthened with a metal bar and lock to better protect against break-ins. The windows can also be secured with a metal railing. 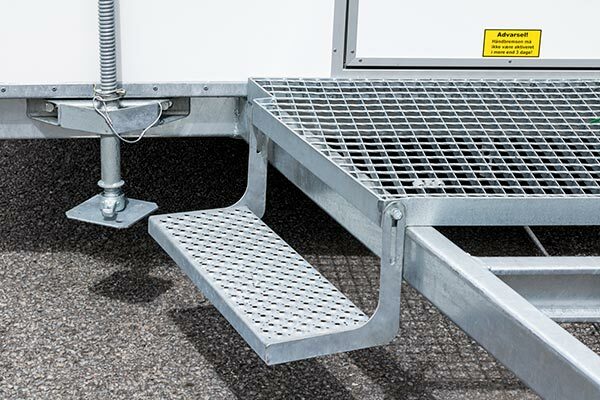 If you're planning on using the cabin in a place with uneven or soft ground a tilting step is more practical than our standard free standing steps. 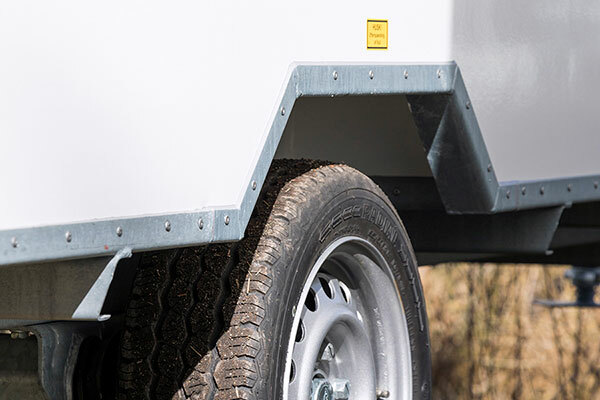 For increased access, most of our vehicles can be supplied with a height-adjustable chassis. This is often used for sales cabins to make it easier to serve customers. If you plan to get your cabin temp-100 approved, it must have a shock absorber. Remember that your tyres cannot be over 6 years old and your cabin must be inspected every two years. We normally build our own cabins with an internal height of 210 cm. 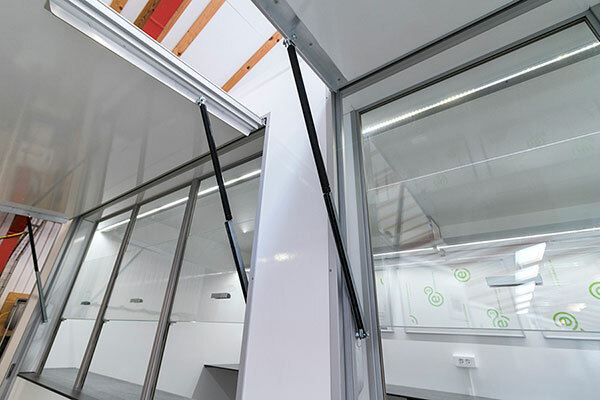 If you want a higher ceiling, we can make a cabin with an internal height up to 240 cm. 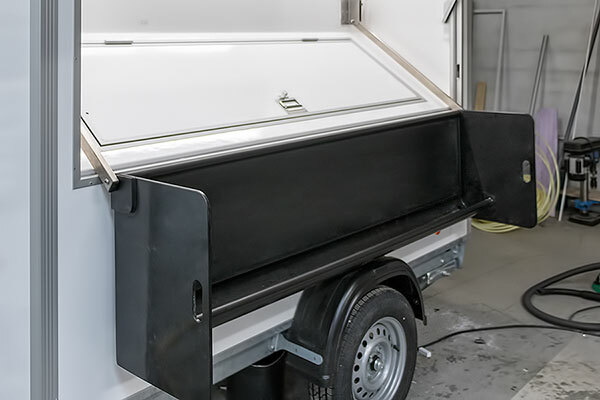 If you have a unique wish, which requires a special chassis, where Alko (our supplier) does not have a standard solution, then we can weld a chassis for you. Read more under project sales. All our cabins can be built on frames. This means the 'cabin' works like a container, although with a higher level of insulation and lower weight. 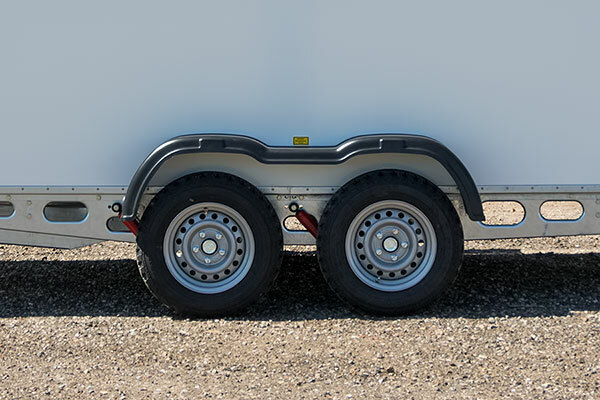 The frame has pockets, so that it can be transported by truck. 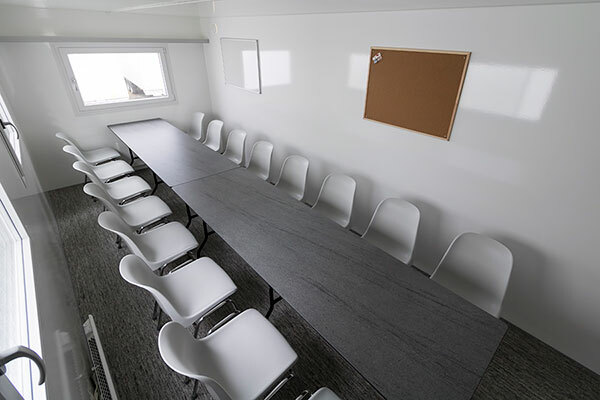 Many of our office and staff cabins come with a separate room for tools. 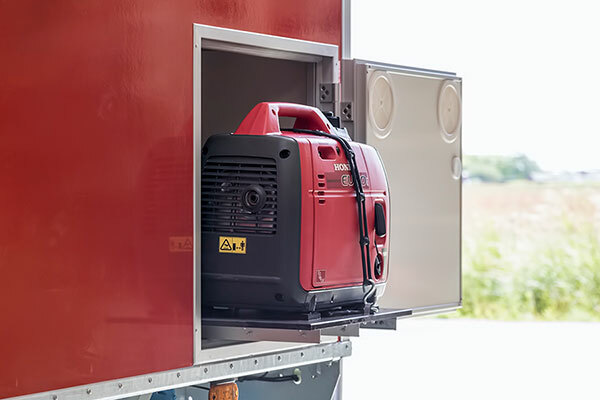 It makes leaving tools, equipment, hoses and cables in the cabin more practical. 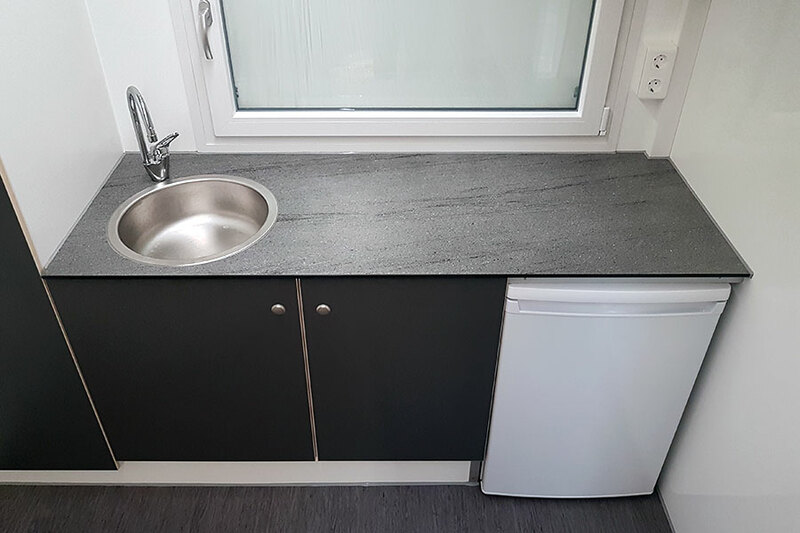 Our mini kitchen consists of a kitchen table with a sink, two cupboards and a fridge. It is often used in our office cabin for preparing cold food. 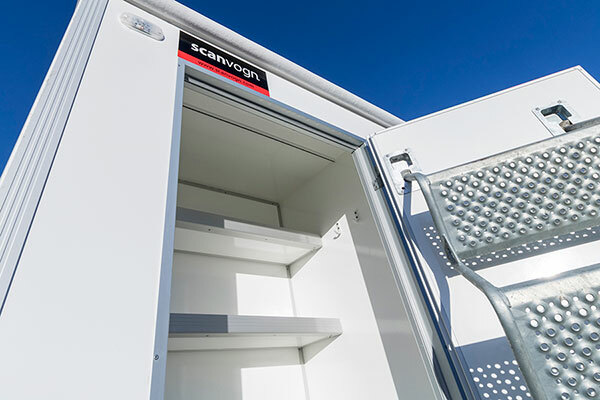 Our pioneer cabin can be built with dry room for shoes and clothes. The dry room can be built from floor to ceiling or from table height to ceiling, leaving space for things underneath. 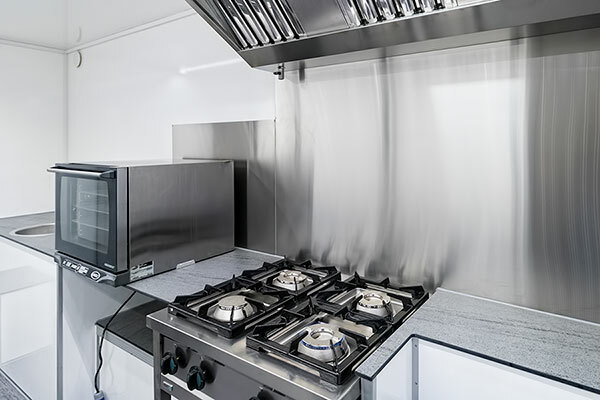 We can install all types of white goods as long as there is space. 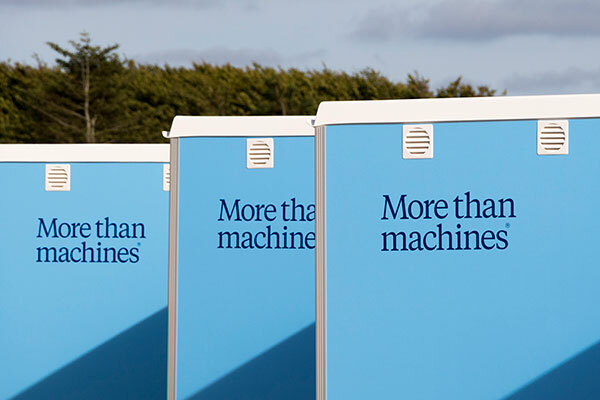 Our customers tend to order many different white goods for our sales and residential cabins in particular. 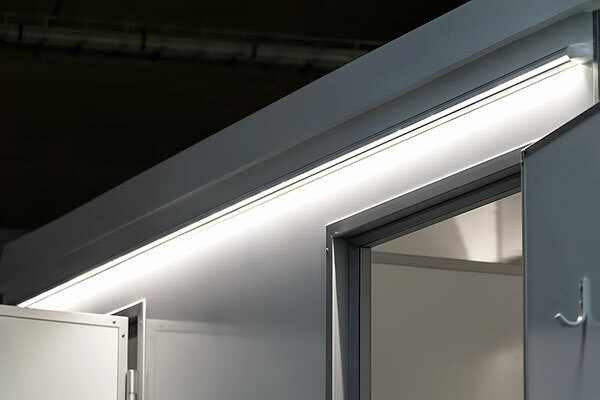 If you want a more elegant lighting, we can install a canopy on your cabin. Our rental customers often prefer this to give their guests a more sophisticated experience. 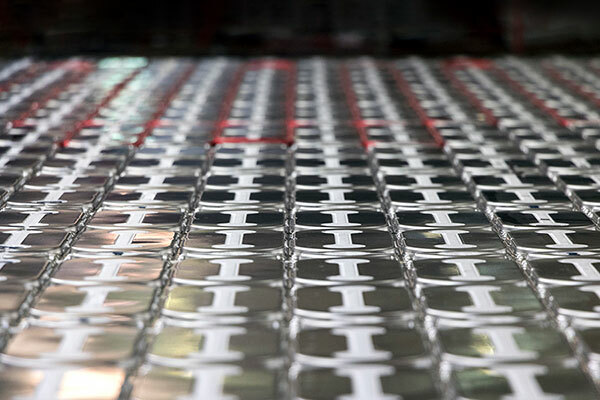 Underfloor heating helps increase comfort in winter. It is often used in residential cabins, which are used to house families who are having renovation work done. Our cabins come with a dark vinyl floor as standard, but we have previously delivered cabins with several types of flooring. 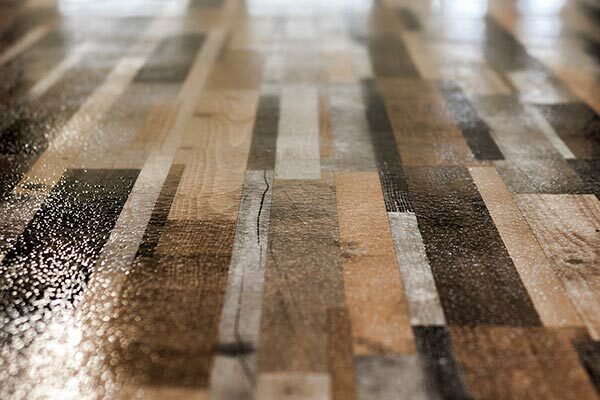 If you want different flooring, please contact us. If you want a calmer living area, we can cover your ceiling with sound-absorbent plates. 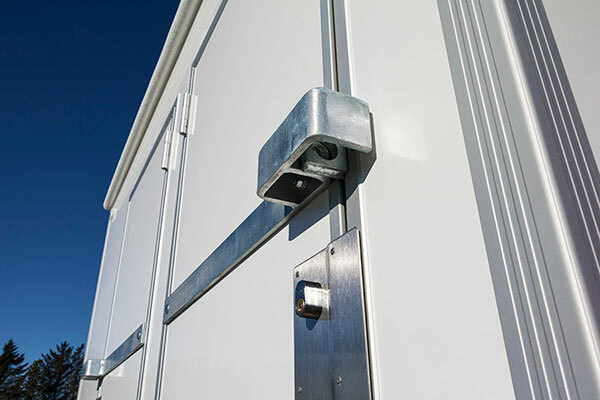 We often install them in our larger office cabins and in our residential cabins. 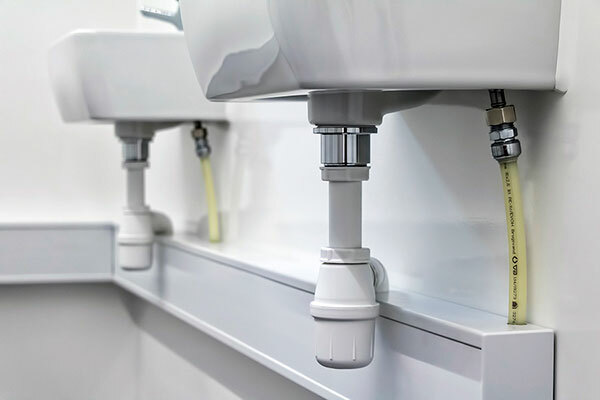 To minimise time spent on cleaning, many of our customers choose a wall-mounted toilet instead of a standing one. NB: This does not apply to our tank toilet and combustion toilet. Sometimes it's impossible to avoid pipes being on display along the walls. However, we can install cable channels to give the cabin a more minimalist and cleaning friendly design. 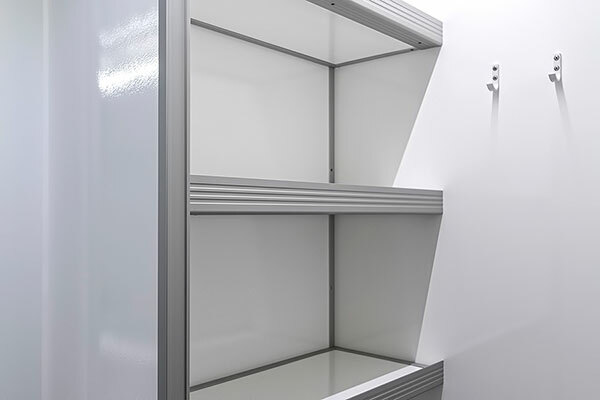 If you want to move the shelves in your cabin, or want to add more, then we can help. We normally make our shelves out of fiberglass, but we can also make them in compact laminate. Our residential cabin for 4 people can be designed with 2 double rooms or 4 single rooms. 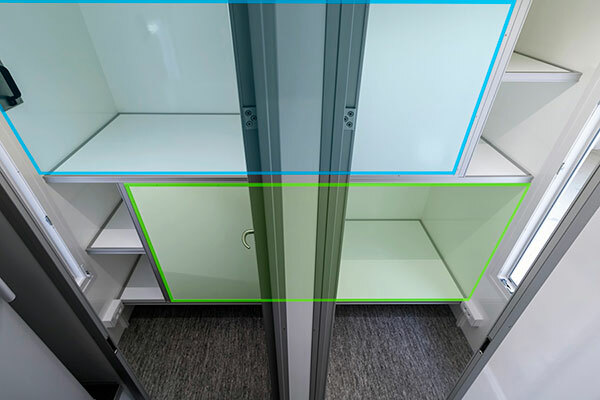 To make space for 4 rooms they are placed so that they overlap each other in height. If it is not important to you to separate the bedroom and living area, we can fit a til bed on the walls to make optimal use of the space. 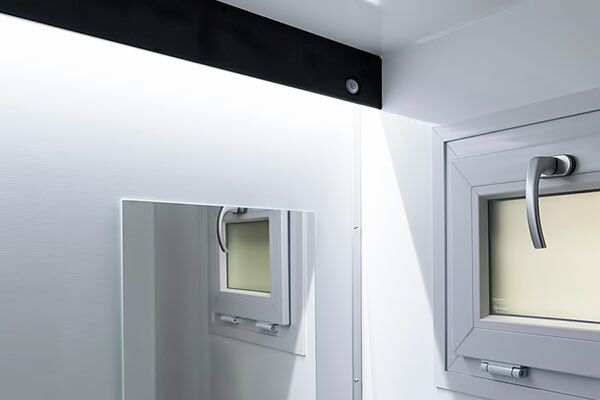 Nearly all our cabins can be designed to be wholly or partly self-sufficient. Our solar cells provide 200 W, which is enough for a 4- 6 person staff cabin with normal use. 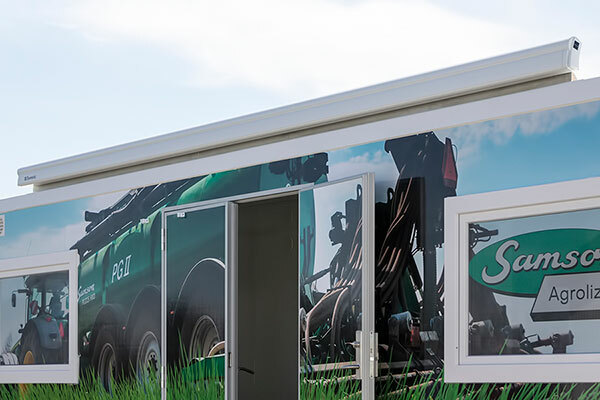 It is usually only our pioneer cabins that use gas and central heating, but in some cases we have built other types of cabins with gas facilities. Calls us for more information. 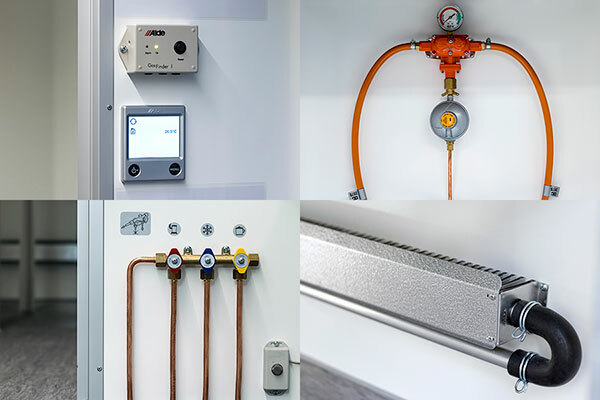 If you want to use your cabin independently of an external water supply, then we can install water and drainage tanks. We recommend you use a vacuum toilet to get the most from your tank capacity. 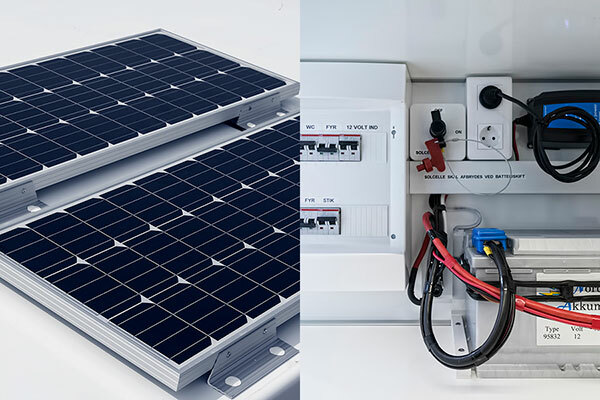 Our solar cells provide 200 W, which is enough for a 4-6 person staff cabin with normal use. If you want to be sure you never run out of power, then we can also install a generator in the cabin.